In our practice we do not place amalgam or “silver” fillings; in fact we specialize in safe amalgam removal. What are amalgam fillings? They are silver colored fillings which are made from a mixture of approximately 50% mercury, 22 – 32 % silver 14% tin and sometimes 8 % copper. (this mixture is called amalgam). 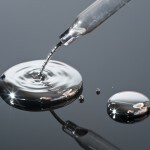 Mercury is a metal that is a silver colored liquid, which evaporates at room temperature and gives off a highly toxic vapor. Mercury is toxic in all forms. If, in the past a mercury thermometer was broken in a hospital the whole section had to be closed off until handled by special toxic waste disposal teams. Why replace existing amalgam fillings? There are some who say that amalgam is safe but Dentist René has spent years researching the safety of amalgam and came to the conclusion that it is not safe. Amalgam fillings release small amounts of mercury vapour continuously but when you drink a hot drink, for example, the vapour releases in much bigger quantities and inhaled. Mercury is highly toxic and can adversely affect the nervous system and other organs in the body. It is one of the most toxic heavy metals for the body. This video shows mercury vapour being released from an old amalgam filling after being rubbed with a pencil eraser. Some people are very sensitive to heavy metals in the body and get all kinds of problems as a result, from headaches to……. If you think this could be the case with you then you should seek out a therapist specialized in this who can determine if heavy metals may be the source of your problems. They will guide you through the whole process of getting your amalgam removal by a biological dentist and then taking supplements to detoxify your body after the removal. Some of our patients have achieved some remarkable relief from problems after amalgam removal. Should you remove amalgam fillings if you are healthy? In our opinion it is worth considering as the mercury released by these fillings gradually builds up in the body and can eventually affect the body adversely. There is plenty of scientific evidence available including research by eminent scientists such as Professor Boyd Hayley showing the potential dangers of these fillings. (for more information see links below). If nothing else you should consider the impact that amalgam fillings have on the environment –see below. Amalgam fillings expand and contract easily due to variations in temperature and can result in cracking of the tooth which sometimes results in a need for a crown as the tooth is ruined thereby. They are also very unattractive. From an environmental viewpoint amalgam fillings are a hazard as mercury is released into the atmosphere during cremation of the body, as well as eliminated with human waste in to our sewage systems. Mercury levels in the atmosphere are much higher in some places as a result of cremation and mercury remains in the air for a long time and does not break down into less toxic forms. The World Health Organization agrees with this viewpoint and is concerned about mercury poisoning on our planet. In our practice we filter all amalgam remnants out of our drainage water and these remnants are collected in a special sealed system and then removed by an enviromental cleaning service for special handling. What do we use in place of dental amalgam? 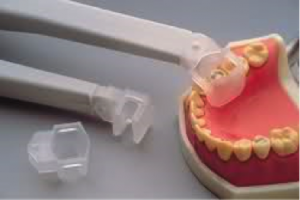 We use porcelain inlays or composite filling material. Composite filling is a tooth-colored plastic and glass mixture used to restore decayed teeth. Composites are also used for cosmetic improvements of the smile by changing the color of the teeth or reshaping disfigured teeth. Are composite fillings safe and durable? Yes, they will last as long as the old fashioned amalgam filling if they have been properly inserted. They often last 10 years or more. As to safety, we are always researching composites that come on the market. We look to find composite resins that are the best to use on a body. Amongst other things we screen them for BPA content. We use protocols for safe amalgam removal; we use a system called Clean-up™ which is a special cup that fits around the tooth and suctions off about 95% of the mercury vapour released during removal. We rinse with a lot of water, to ensure that no or next to no particles are taken in. We have taken precautions to make the treatment rooms as mercury-free as possible.